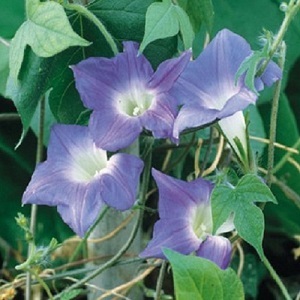 A free-flowering Morning Glory with star-shaped flowers in sky-blue, from July to the first frost. Plants climb up to about 1.5m in height, climbing or trailing, and are ideal for trellises, fences and hanging baskets. This variety grows well in pots and is well suited to growing in a conservatory. Morning Glory grows best in a warm sunny position, in a wide range of soils including clay. Pack of 25 seeds. Sow indoors in spring for planting out after the last frost. Sowing instructions and a colour photo are printed on the packet. 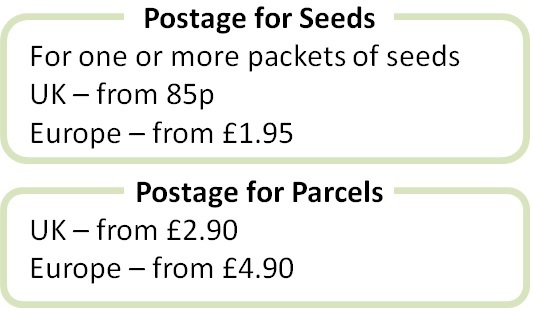 Sow seeds in spring in modules or trays of moist seed compost. Cover with 5mm of compost. Keep at 20°C and germination takes 1-2 weeks. Transfer seedlings to pots when big enough to handle, being careful not to disturb the roots. Harden off seedlings before planting out after the last frost. Plant in a warm sunny position. Grow Provide climbing support and deadhead regularly to prolong flowering. Plants grow and flower in the same year, and die in autumn with the first frosts, when they can be removed, and more seeds sown in spring.